An image for an alphabet poster. 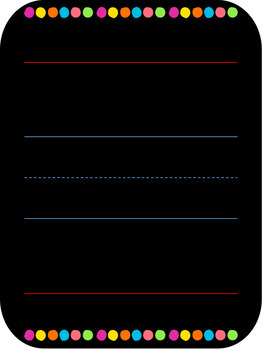 Image is single, blank with lines. Use for single letter (capital and lower case). Add text box over the top, use white as font colour.